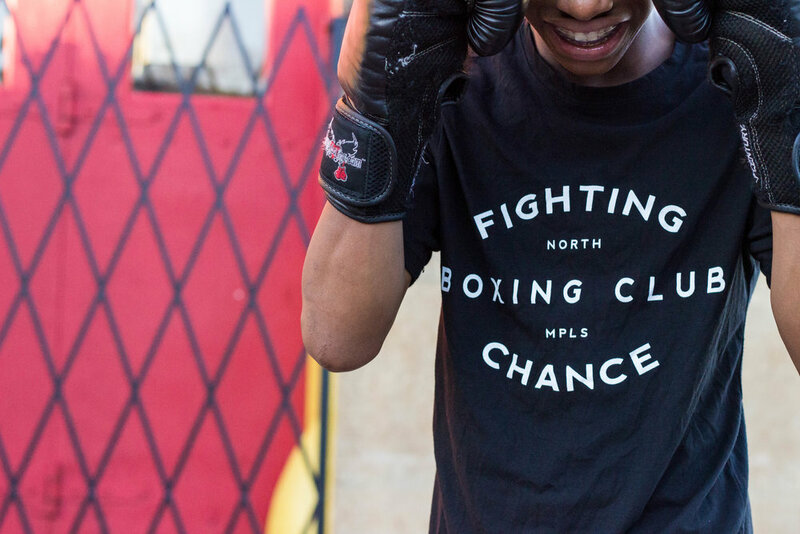 I recently had the honor of photographing Fighting Chance Boxing Club in North Minneapolis. I got hooked on the place. 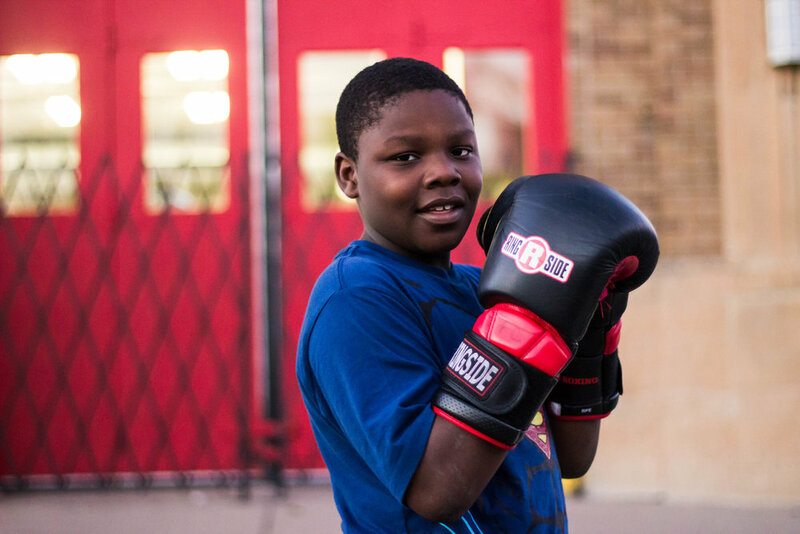 The mission is "To effect positive change in North Minneapolis youth through boxing and physical fitness." The gym also partners with Matter and others to feed the kids healthy meals -- something they started doing after noticing they were sending the kids away hungry at the end of the night. This doesn't just sound good on paper -- it works. You see, if you start to Google North Minneapolis, it autofills the rest of the search bar with "shooting." Nearly 50 percent of North Minneapolis lives below the poverty line, according to data from the Minnesota Compass. But there is so much more to this vibrant community than statistics. I pulled up to the gym as dusk started to roll in and saw these kids work with their coaches in the dreamy light of the sun setting. It was an unseasonably warm day, so there was almost as much work being done outside as in. It smelled like rubber and sweat. 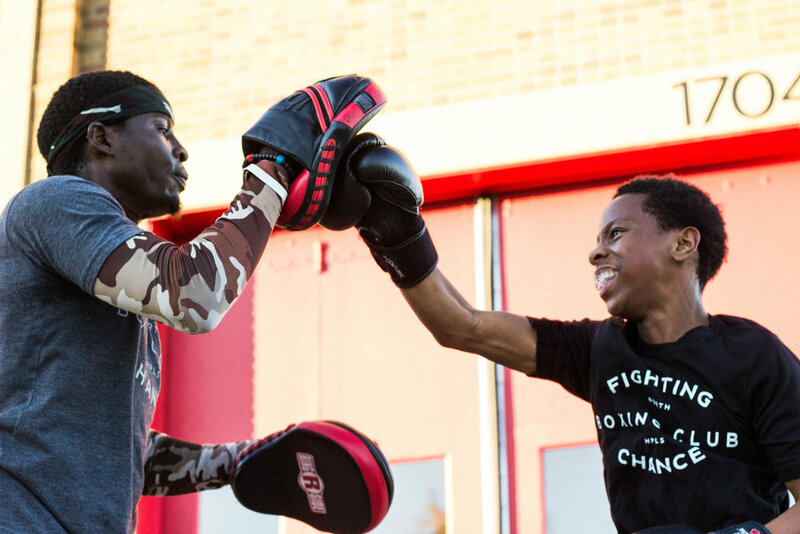 Kids were smiling, laughing and shadow boxing with determination. 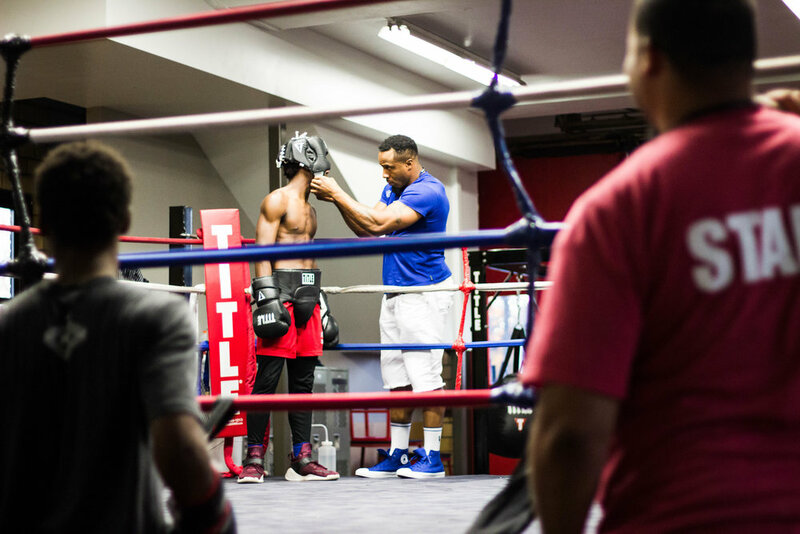 I watched as neighborhood kids -- boys AND girls -- helped each other put wraps and gloves on, shadow boxed and got in the ring with coaches. And I thought, "What if this wasn't here?" This gym that is filled to the brim with kids from 8 to 18...these kids might be on the street with more of a chance to be part of the statistics, the Google autofill. Every single day, approximately 13 young people in the United States are victims of homicide and an additional 1,642 visit hospital emergency departments because of physical assault-related injuries. Among high school students, 1 in 4 report being in at least one physical fight and 1 in 5 report being bullied in the last year, according to the Centers for Disease Control and Prevention. The CDC views this as a public health crisis. Furthermore, they say there is a disproportionate burden on ethnic and racial minority youth. 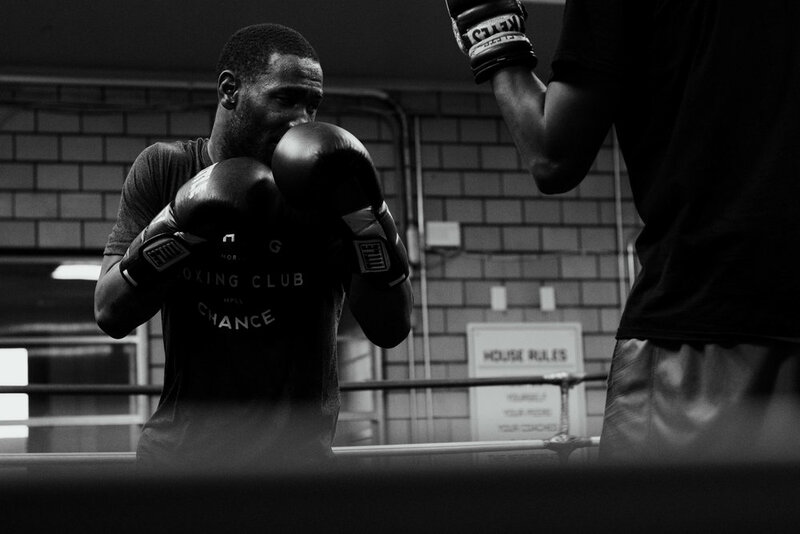 Some of the key prevention strategies the CDC has defined are taking place every day at Fighting Chance. 1. Build children’s and adolescents’ skills and competencies to choose nonviolent, safe behaviors. 2. Build and maintain positive relationships between young people and caring adults in their community. 3. Improve and sustain a safe physical environment in communities and create spaces to strengthen social relationships. 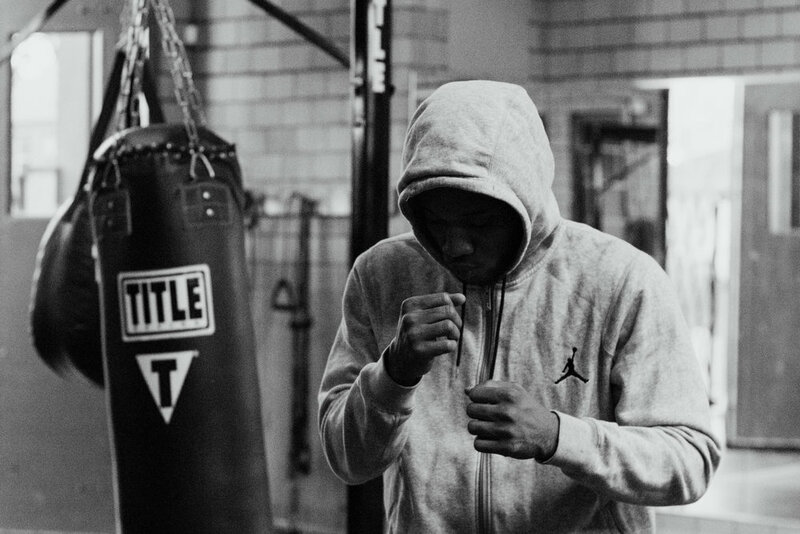 And this is all before you even think about the benefits that exercise -- specifically boxing -- has on mental health and wellness. 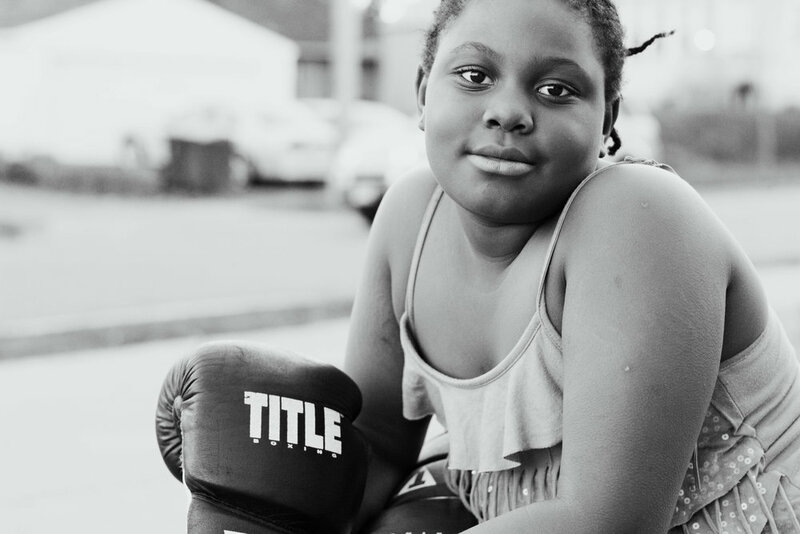 I hope I did the gym and these kids justice in these photos. Click on photos to navigate gallery.